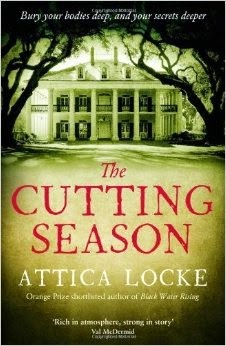 The Cutting Season by Attica Locke was my book club selection for this month; I missed the meeting, but I did read the book! The Cutting Stone is set on a historic plantation in Louisiana. An African American woman, Caren, is running the plantation which is used for tours and events. Caren's family has worked on this plantation for years. There is a murder committed on the plantation and this allows several subplots to develop: Caren and her ex-lover; Caren's great, great great grandfather's story; Caren and her father, Caren and her mother, the plantation owners.....Yea, there are lots of stories, but Attica finds a clever way to tell all of these stories in a manner that is not confusing. I had a problem with Caren working on a plantation. I can't quite understand an African American wanting to live on a plantation even if he/she is running it as a historic site? It appeared that most of the African Americans who worked on the plantation were one step from slavery times, and I had a problem with that since the book was set in modern times. In this book, Attica talked about the election of President Obama which meant the setting was present day, but she treated the storyline as if it was set right after slavery. The entire time that I was reading this book, I had to continuously remind myself that this novel was taking place in a modern setting and not 1920. 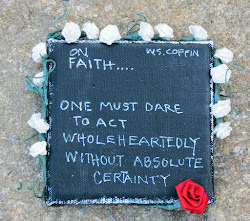 Eventually, we find out who killed the lady who was found dead on the plantation, and there was closure given to every subplot in the story, except we are not quite sure what will happen to Caren. Not my favorite book, but it also was not my least favorite book....Something about African Americans living and working on a plantation in the 2000s and not owning it, did not sit well with me. By the way, Attica Locke's first novel, Black Water Rising, I haven't read it yet, was nominated for several awards. 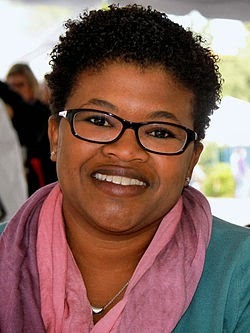 She has produced scripts for Paramount, Warner Bros., Disney, Twentieth Century Fox, Jerry Bruckheimer Films, and HBO. Attica is a big deal.....Check her out! Next, I will be reading two books at the same time: Why Not You? : Twenty-Eight Days to Authentic Confidence by Valorie Burton that I will read over the next twenty-eight days and The Glass Castle by Jeannette Walls.